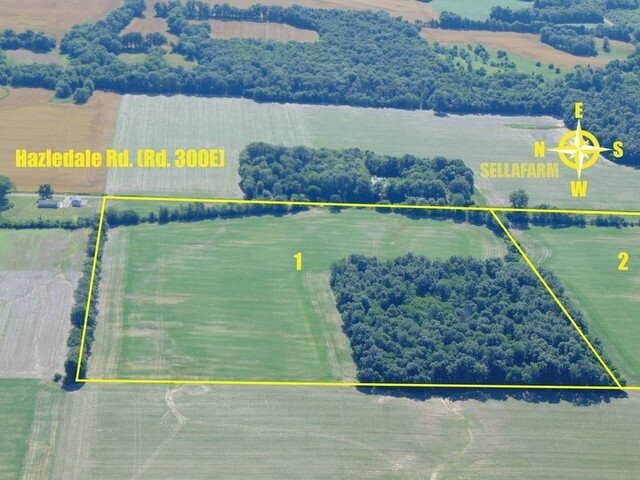 SELLAFARM, Your Team on the Ground will be selling 154+/- acres consisting of 86.4+/- Acres tillable of Lawrence County, Illinois farmland offered for sale via the auction method of marketing! Location:8 Mi. West of Lawrenceville, IL on US Rt. 50 to Sumner/Chauncey Blacktop (Rd. 220E), North 3 Mi. to Trinity Lane (Rd. 1400N), East .8 Mi. Signs will be posted with brochures. Corners flagged. 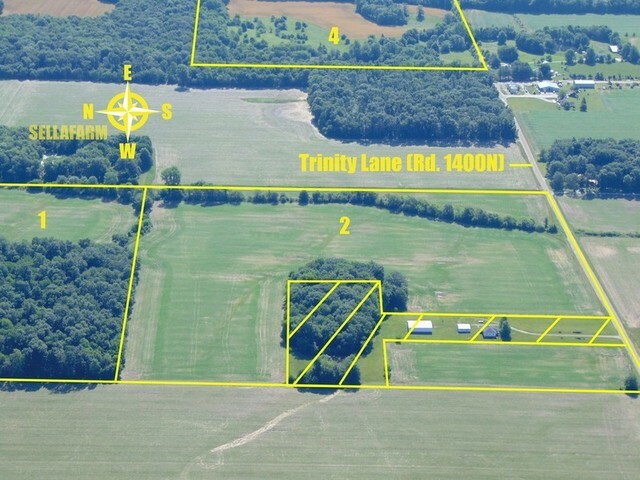 Brief Legal: NE1/4 SE1/4 Section 16, Petty Township, Lawrence Co., IL. T4N-R13W. Access:Direct access to Hazledale Rd. (Rd. 300E) on East. Soils: 13B Bluford Silt Loam, 2-5% Slope, 25.90 Ac., 62.6%; 5C2 Blair Silt Loam, 5-10% Slope, 11.77 Ac., 28.5%; 8382 Belknap Silt Loam, 0-2% Slope, 2.98 Ac., 7.2%; 929C3 Hickory-Ava Complex, 4-7% Slope, .70 Ac., 1.7%; ALL HEL. Weighted Productivity Index: 99.1. FSA Info: Farm No. 3290, Tract No. 2453, Corn Base Ac. 30.50, PLC yield 122; Soybean Base Ac. 20.30, PLC yield 35; Wheat Base Ac. 10.10, PLC Yield 51; Total Base Ac. 60.90. Please Note: This includes totals for Tracts 1 & 2. 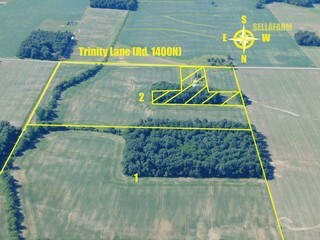 Map & 156 will be posted on www.sellafarm.com to view anytime. R.E. Estimated Taxes: Lawrence County Assessor Parcel Index Number 08-000-625-00, Total Current Tax of $143.16. 2017 taxes, due & payable 2018 to be paid by SELLAFARM, Buyer(s) thereafter. 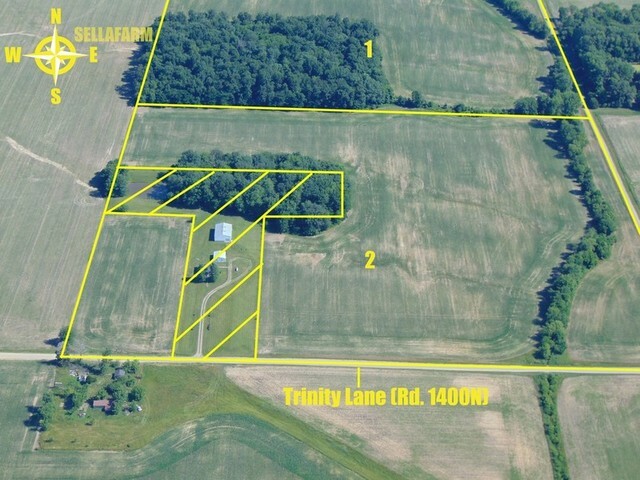 Location: Land Located at Intersection of Trinity Lane (Rd. 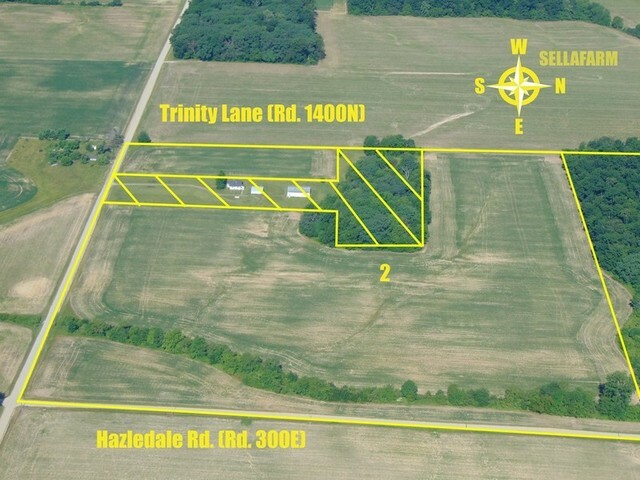 1400N) & Hazledale Rd (Rd. 300E), Signs will be posted with brochures. Corners flagged. 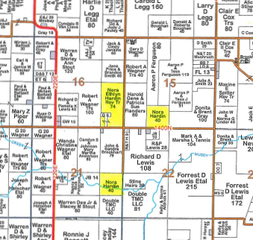 Brief Legal: SE1/4 SE1/4 Section 16, Petty Township, Lawrence Co., IL. T4N-R13W. Access:Direct access to Hazledale Rd. (Rd. 300E) on East, Also Direct access on Trinity Ln. (Rd. 1400N) on South. Soils: 13B Bluford Silt Loam, 2-5% Slope, 18.02 Ac., 51.5%; 5C2 Blair Silt Loam, 5-10% Slope, 12.57 Ac., 35.9%; 8382 Belknap Silt Loam, 0-2% Slope, 4.29 Ac., 12.3%; 929C3 Hickory-Ava Complex, 4-7% Slope, .09 Ac., .3%; ALL HEL. Weighted Productivity Index: 99.9. R.E. Estimated Taxes: Lawrence County Assessor Parcel Index Number 08-000-626-00, Total Current Tax of $161.18. 2017 taxes, due & payable 2018 to be paid by SELLAFARM, Buyer(s) thereafter. Location: Land Located at .5 Mile South of Intersection of Trinity Lane (Rd. 1400N) & Hazledale Rd (Rd. 300E), Signs will be posted with brochures. Corners flagged. 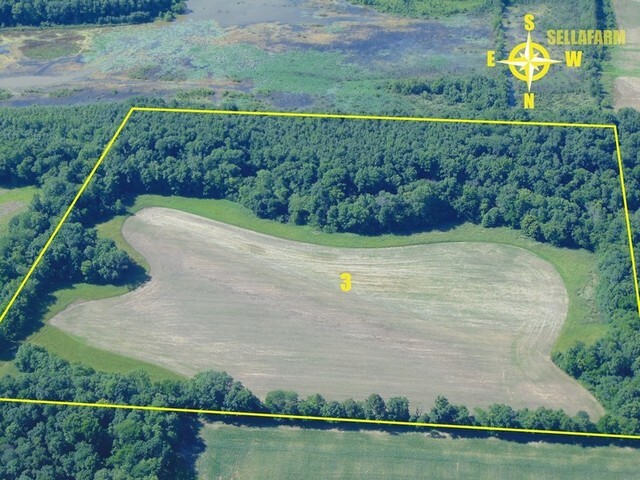 Brief Legal: NE1/4 SE1/4 Section 21, Petty Township, Lawrence Co., IL. T4N-R13W. Access:Direct access to Hazledale Rd. (Rd. 300E) at Northeast Corner. Plat shows Rd. 300E as Township road to North edge of property. 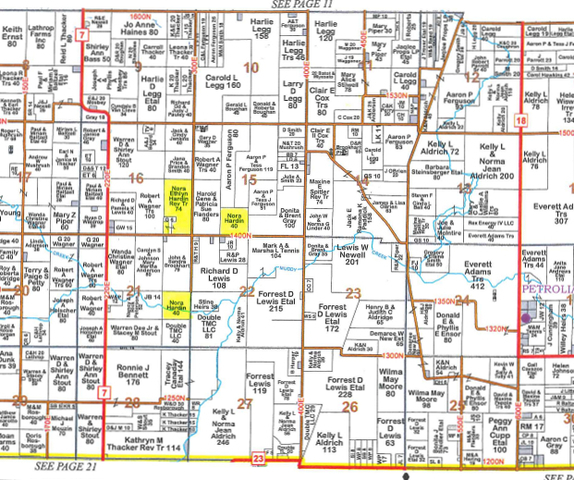 Soils: 8108 Bonnie Silt Loam, 0-2% Slope, 30.90 Ac., 76.1%; 5D3 Blair Silty Clay Loam, 7-15% Slope, 3.14 Ac., 7.7%; 14B Ava Silt Loam, 2.25 Ac., 5.5%; Many other fractional soil types. TILLABLE IS ALL NHEL. Weighted Productivity Index: 107.2. FSA Info: Farm No. 3290, Tract No. 2455, Corn Base Ac. 12.70, PLC yield 122; Soybean Base Ac. 1.70, PLC yield 35; Total Base Ac. 14.40. 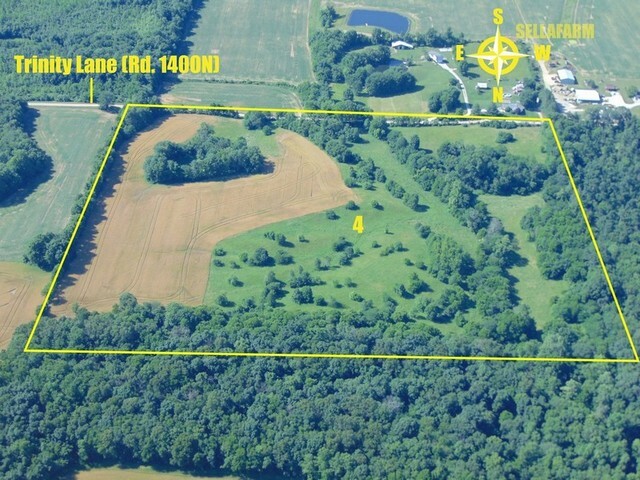 Please Note: Map & 156 will be posted on www.sellafarm.com to view anytime. CRP Info:CRP Contract Acres: 6.31. 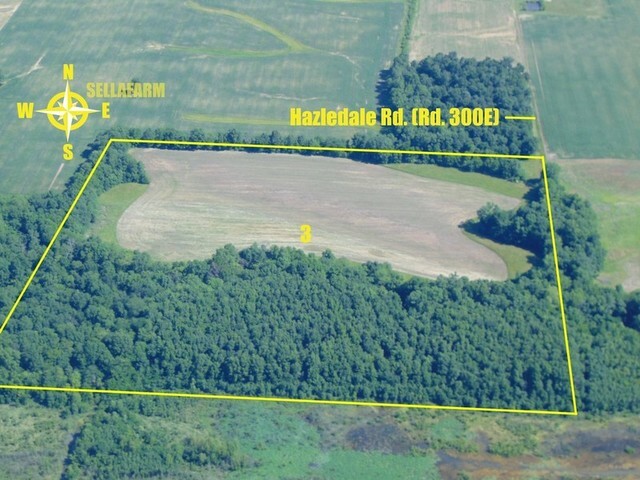 $232.53 Rental Rate Per Acre. $1,467 Annual Contract Payment. Contract End Date of 9/30/2030. Seller to retain 2018 CRP Income, buyer thereafter. R.E. Estimated Taxes: Lawrence County Assessor Parcel Index Number 08-000-712-00, Total Current Tax of $110.14. 2017 taxes, due & payable 2018 to be paid by SELLAFARM, Buyer(s) thereafter. Location: Land Located .25 Mi. East of at Intersection of Trinity Lane (Rd. 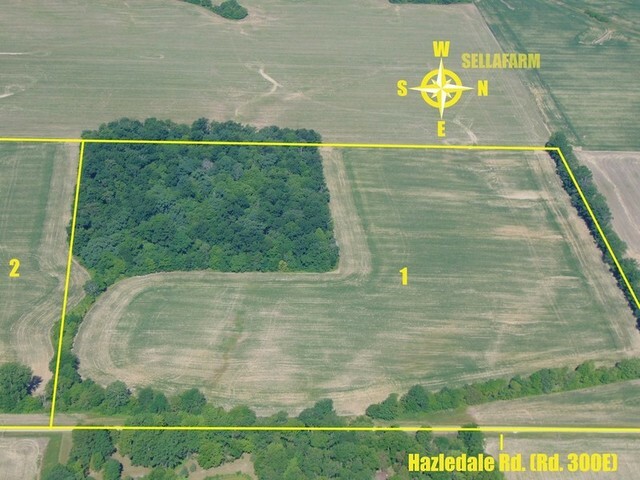 1400N) & Hazledale Rd (Rd. 300E), Signs will be posted with brochures. Corners flagged. 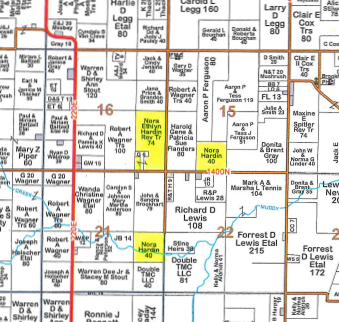 Brief Legal: SE1/4 SW1/4 Section 15, Petty Township, Lawrence Co., IL. T4N-R13W. Access:Direct access to Trinity Ln. (Rd. 1400N) on South. Soils: 929C3 Hickory-Ava Complex, 4-7% Slope, 11.09 Ac., 26.7%; 13B Bluford Silt Loam, 2-5% Slope, 7.93 Ac., 19.1%; 929D3 Hickory-Ava Complex, 7-12% Slope, 7.50 Ac., 18.0%; 14C2 Ava Silt Loam, 5-10% Slope, 6.88 Ac., 16.5%; 7072 Sharon Silt Loam, 0-2% Slope, 6.05 Ac., 14.5%; Many other fractional soil types. ALL HEL. Weighted Productivity Index: 87.1. FSA Info: Farm No. 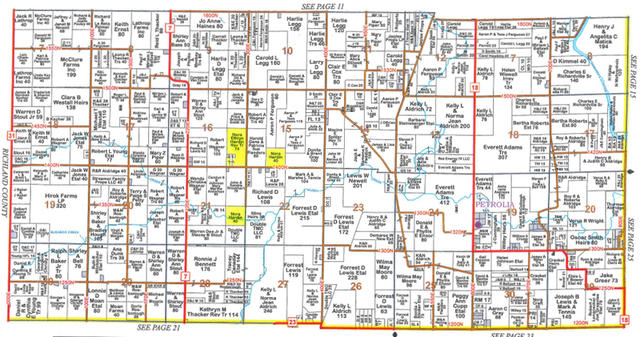 3290, Tract 2454, Soybean Base Ac. 7.20, PLC yield 35; Total Base Ac. 7.20. 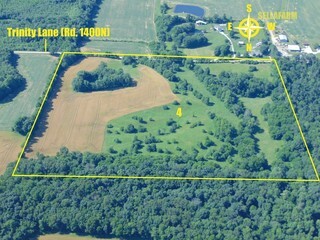 Please Note: Map & 156 will be posted on www.sellafarm.com to view anytime. R.E. Estimated Taxes: Lawrence County Assessor Parcel Index Number 08-000-605-00, Total Current Tax of $70.56. 2017 taxes, due & payable 2018 to be paid by SELLAFARM, Buyer(s) thereafter. Terms: 10% down day of sale non-refundable escrow. 6% Buyer’s Premium. Closing to occur as soon as necessary documents are prepared, Plan to close within 45 days. Have financial arrangements made prior to sale. All information provided is from sources deemed reliable however not guaranteed. Parties relying on such are urged to perform due diligence and base their decisions upon that information. Being sold subject to owner confirmation.